I am not a life coach — let’s just get that cleared up. That is not what this is about. The inspiration for this title came from Gary Vee’s book Ask Gary Vee. What I mean by this question is that there are quite a few people in their 20’s these days training to be a personal or life coach because that is the “in” thing these days. People are having life coaches and it is a great way to make money. 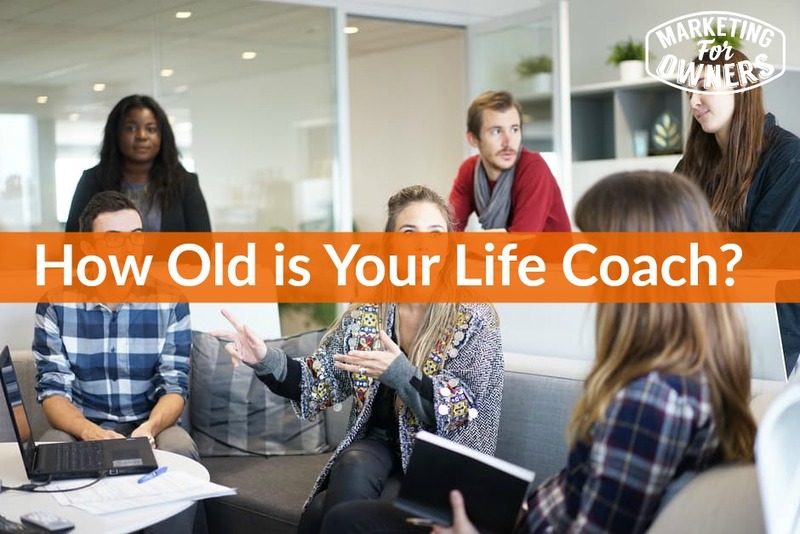 My question is — how can you be a life coach if you are only in your twenties? Now — this might be so if you started something when you were 8 and are an undisputed expert at it. But honestly — you cannot be a life coach if you are that young. This has nothing to do with life coaching. But you need to look around and see where your advice is coming from. It can be from someone who is younger or who is older, what matters is the experience they have been through. It is so easy to set up a website and make yourself look great. When it is executed wonderfully, it is amazing how many people you can convince of your expertise. Now — that sounds great but if you can do that, why not hire more people and keep the secret to yourself but make tons of money?? Having a mentor or teacher to help you understand how it works is what you need to be on the lookout for. They will help you, but there are people out there like the one I talked about before that all they are there for is to just take your money. You can spend some time reading my blog or listening to the podcast to learn all kinds of good stuff, but if you want to pick my brain on the phone — it is totally free (just click the link in the sidebar). I put my money where my mouth is and I offer free one on one time. You can get half an hour for free — seriously — just try me. I have experience. I can prove it. I am not going to tell you that I can teach you how to make millions of pounds in just a few months, because I cannot do that. That is up to you. I can give you the system and process and framework to set it up but the rest is up to you. I can help you. I do actually use this stuff. If you want to find a good mentor, try your chamber of commerce. They offer great mentorship because they put a ton of time of volunteer work in. They are doing it because they want to help — they feel like that is their purpose. You can tell them what kind of mentor you are looking for and they will put you in touch with someone who can help you. Or — you can contact a local business person and see if you can pick their brain over a cup of coffee. You need to find someone who has experience. Consider how much experience they can give you. It is not all in a course — it is life experience. Today is Thursday and that means it is time for a podcast. 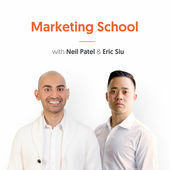 Today’s podcast recommendation is Marketing School podcast. It is from Neil Patel and Eric Sui. They are two extremely clever and smart business people with great advice. It is a daily podcast about 6-8 minutes long. Look them up and have a listen. You will not regret it. It is amazing. Now — tomorrow I will be back with an amazing ones to watch interview with Lucy Hall. You will not want to miss this! Oh — and have a Happy Thanksgiving!